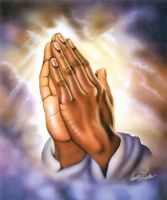 Dear Lord help me with my current relationship situation with kourvoisier d frazier an I ashley c Baldwin frazier. Please take away all the pain and hurt in our heart. Fill it with love, joy, patience, and understanding.Bless me and my partner, so that we may never surrender to whatever challenges that come our way. Fill our hearts with love for each other, and may you make each one of us realize each others worth. Please touch the heart of my partner,fill it with much love for me.